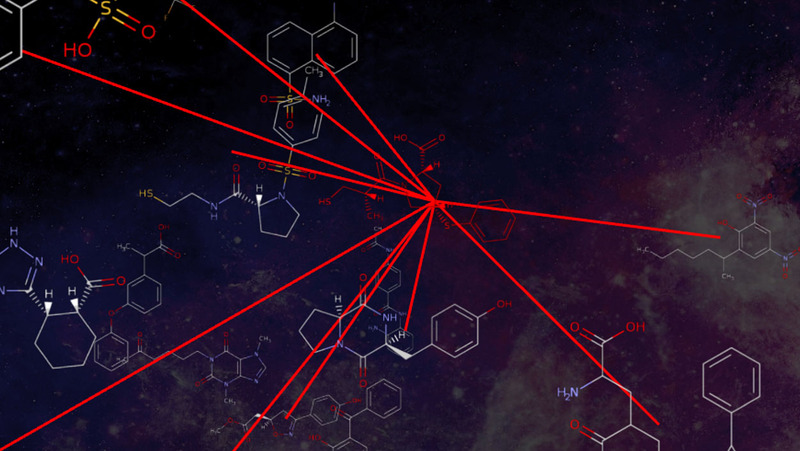 With ChemMaps, the chemicals look like stars – points of light scattered across the screen. Each star, or compound, is positioned in relationship to the others within the complex chemical space based on their structural properties. When a user clicks on a particular compound-star, several key characteristics of that chemical are displayed: its systematic name, brand name, chemical structure, medical indication, external identifiers, and other physical chemical properties. cheminformatics, to easily, visually and quickly access all this complex chemistry information in one place”. Might be a bit of a stretch as we made http://gdbtools.unibe.ch:8080/webDrugCS/, http://www.gdbtools.unibe.ch:8080/webMolCS/ and http://faerun.gdb.tools/ available to everyone in the “public domain” in 2016 and 2017. Anyone interested may also find our full stack open sourced and well documented (including dockerized versions) here: http://doc.gdb.tools/fun/.